It’s no secret that allergies and sensitivities are becoming an increasingly common problem. And to make matters worse, people are often completely unaware that they have an allergy or sensitivity. This is because they can manifest as other conditions such as obesity, chronic fatigue syndrome, or IBS. Food allergies alone affect an estimated 15 million Americans and 1 in 13 children–but this only accounts for diagnosed cases of food allergies. In reality, I would bet that the numbers are much higher because allergies and sensitivities can be hard to detect. Things seem to be even worse in Great Britain. One in three people in the UK are allergic to something, be it pollen, dust, or food. What’s even more concerning is that food allergies in children have increased by around 50% between 1997 and 2011 alone—who knows how much it is now. But it’s not only food allergies & sensitivities that are becoming a big problem. Chemical sensitivities, asthma, rhinitis (hay fever), skin allergies, have all been on the rise. And many of these issues were either extremely rare or unheard of 200 years ago. Obviously, something is not right here. So what’s going on? It may sound a little strange at first, but hear me out. Antibiotics are thought to cause allergies or sensitivities. Although I’m sure the fact that our food is riddled with chemicals doesn’t help either. While it may not be the sole cause for every single case of allergies, antibiotics can surely be blamed for many of the cases. One study, for example, showed that an exposure to antibiotics early in life increases the risk of eczema in children by 40 percent. That’s a massive increase! Furthermore, research in Berlin, Germany, revealed that as antibiotic use increases, asthma rates also increase. This was discovered when the Berlin wall was demolished in 1989. Antibiotic use on the east side was low compared to the west side. Once the wall went down, the east side began to use more antibiotics. And guess what happened? Asthma rates increased significantly. This study eliminated the possibility that genetics were to blame for the rising rates of asthma. The evidence also goes well beyond correlational studies. A group of researchers identified a case where a serious allergic reaction was traced all the way back to an antibiotic (pesticide). In this case, a 10-year old girl had a severe allergic reaction after eating blueberry pie. The culprit was found to be a pesticide containing streptomycin that is commonly sprayed on blueberries. In other words, an antibiotic caused her allergic reaction. This was the first case that supported the connection between an allergic reaction and antibiotic pesticides. As you can see, the evidence is hard to deny. But how do antibiotics cause our bodies to develop allergies and sensitivities? They both compete for food and space to survive. And these resources are limited. Unfortunately, our lifestyle gives the unhealthy bacteria a huge advantage. When we eat unhealthy things like processed sugar, refined grains, or alcohol, we are feeding the harmful bacteria. To make matters worse, antibiotics destroy the remaining beneficial bacteria in your gut. It’s like kicking someone while they’re already down. Antibiotics are the final blow to your healthy bacteria. Without any competition, harmful bacteria are free to take over your gut. Between the food you eat and antibiotics, our helpful bacteria don’t stand a chance. When harmful gut microbes (yeast) like candida albicans take over, you can experience a range of health problems including weight gain, fatigue, joint pain, and even leaky gut syndrome. These conditions occur as a result of the harmful microbes and your gut’s inability to properly digest food. This can cause your body to react to foods as if they are a threat. Gary Huffnagle, an allergist at the University of Michigan suspects that our gut bacteria are somehow involved in training our immune system to ignore harmless molecules. Without this training, our immune system flags foods or other harmless things that get into our body as a threat. This causes an allergic reaction. The bottom line is that antibiotics destroy the delicate balance of bacteria in your gut and can cause the body to develop allergies. The antibiotics prescribed by your doctor aren’t the only thing that’s destroying your gut bacteria. The 10-year-old girl in the case above, for example, was unknowingly consuming an antibiotic pesticide found on blueberries. Antibiotic pesticides & herbicides: Most of our (non-organic) foods are covered in pesticides to prevent fungal, bacterial, or insects from spoiling the crops. Aside from the other harmful chemicals these pesticides contain, they also contain antibiotics. One herbicide, called glyphosate, has specifically been shown to destroy your gut bacteria. Purchase organic foods to avoid these pesticides. Obsession with Sanitization: Our obsession with sanitization is also causing problems. Between hand sanitizers, disinfectant wipes, and anti-microbial cleaners, we are destroying the bacteria on our bodies and environment. Without bacteria, our immune system will become weak and untrained. 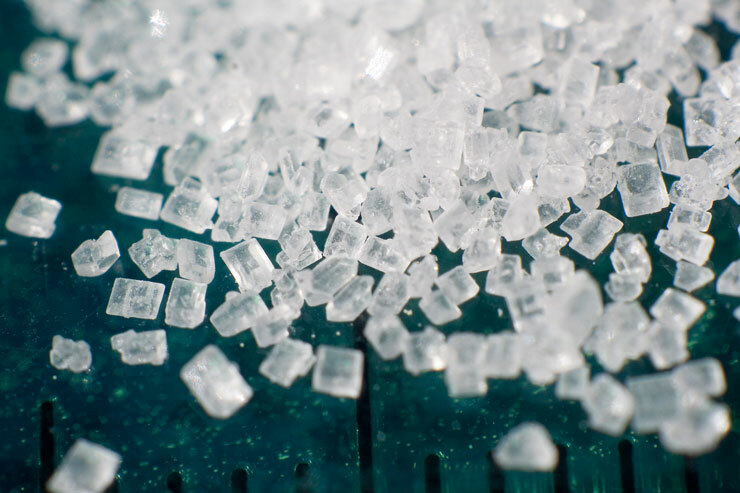 High Sugar Diets: Diets that are high in sugar (carbohydrates) feed pathogenic bacteria and give them the advantage they need to take over in your gut. When they take over, your healthy bacteria cannot grow or reproduce. Chlorinated Drinking Water: Drinking chlorinated water makes it nearly impossible for your gut to maintain a healthy balance of bacteria because chlorine kills all bacteria—that’s why we put it in pools! It shouldn’t be something we drink. As you know, our childhood is a vulnerable period in life. And it doesn’t take much to throw a child’s healthy development off course. When a child’s development is thrown off course, he/she can develop psychological or physical issues. Among the many developmental risks children face, the gut is one of them. 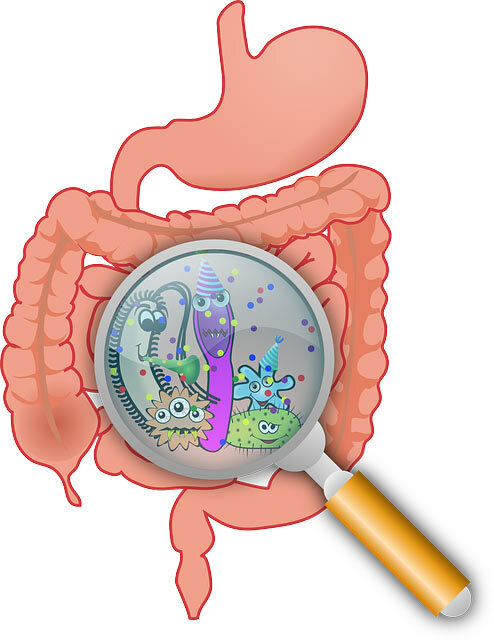 During childhood, the gut is working hard to establish a healthy balance of gut bacteria. When this is disrupted, it can have some surprisingly serious consequences. Gut health begins with birth. The first time a baby is able to recruit healthy bacteria is actually through the birthing process. It occurs as the baby’s eyes, nose, lips, and mouth pass through the birthing canal. But thanks to the rising rates of cesarean sections, babies are not getting this first exposure to bacteria. One large study discovered that C-section babies are much more likely to suffer from chronic disorders such as asthma, rheumatism, allergies, bowel disorders, and leukemia compared to traditionally-birthed babies. Another factor that plays an important role in the development of the gut is whether or not a baby is breastfed milk. Breast milk is known to contain up to 900 species of bacteria. Most of this bacteria helpful for both the body and training the immune system. When babies are breastfed, it significantly reduces the risk that they will develop allergies later on in their childhood. Children are also spending much less time outdoors nowadays. 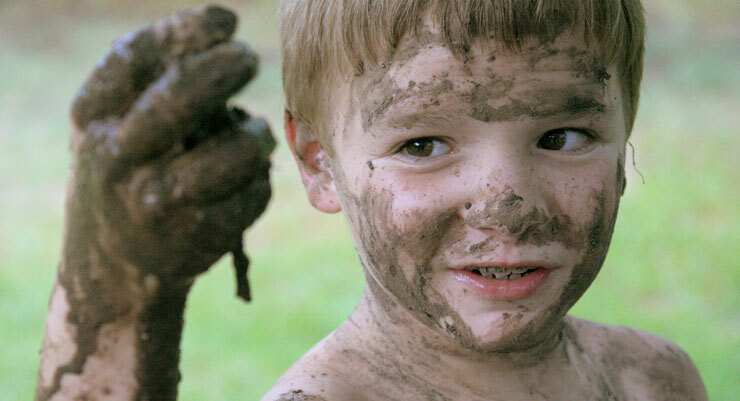 Instead, they should be playing in the dirt, mud, and rain so they can be exposed to every-day bacteria. This strengthens their immune system—while staying indoors all the time weakens it. Even if you had an upbringing that harmed your gut or have taken large amounts of antibiotics, all hope is not lost. Fortunately there are things you can do to restore the balance of your gut bacteria. 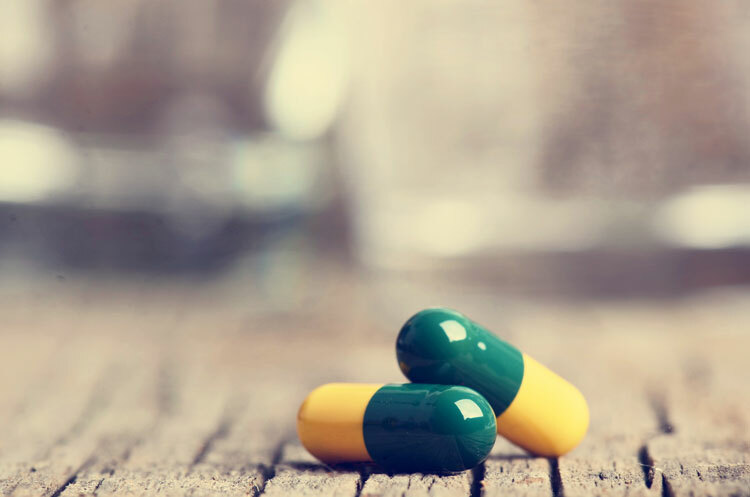 Take a probiotic during and after ingesting antibiotics. Scientists have found a specific strain of gut bacteria that helps prevent food allergies and sensitivities. This specific strain is called Clostridia. When getting a probiotic do yourself a favor and get a probiotic that contains Clostridia. Unfortunately, probiotics with Clostridia can be really hard to find. So I did the legwork for you and found this probiotic that contains a helpful strain of Clostridia on Amazon. Avoid processed grains and sugar as they promote the growth of pathogenic bacteria, yeast, and fungi. Don’t eat GMO foods. They contain glyphosate which decimate your gut bacteria. Avoid conventionally-raised meats that contain antibiotics and other harmful chemicals. Only use medical antibiotics if it’s absolutely necessary. You should not be taking them for viral infections or infections that will resolve themselves. NSAIDs (like Ibuprofen) and proton pump inhibitors (heartburn medications) should be avoided if possible. Only use antibacterial soap when absolutely necessary (like when you cut meat or are in a medical facility). Avoid stress! You would be surprised how much damage stress does to your body, including your gut. Eat fermented foods like sauerkraut, kimchi, or kombucha to supplement your gut with healthy bacteria. If you have an infection that you feel can be managed by yourself, consider giving natural antibiotics a try. Natural antibiotics don’t harm your gut like potent pharmaceutical antibiotics do. Here are the top natural antibiotics that I use. You can read more about the application of these natural antibiotics here. If you are really interested in taking any of these antibiotics, make sure you research them first or consult your healthcare practitioner. Our gut plays a huge role in our health and only now is science just beginning to skim the surface of this relationship. 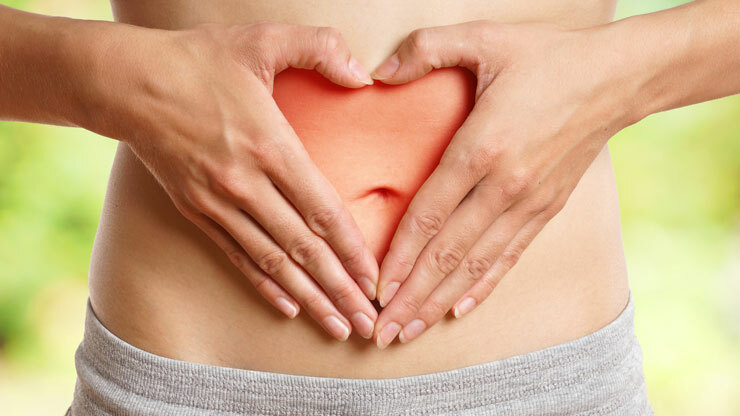 I would consider the gut to be the number one most important aspect of health. Without a healthy gut, we can never be truly healthy. Since the gut is so important to our health, we should be doing everything in our power to maintain its health. That means only taking antibiotics when absolutely necessary, opting for natural antibiotics, eating a gut-friendly diet free of sugars, and taking probiotics or eating fermented foods on a normal basis. By taking care of our gut, it may be possible reverse allergies and sensitives that we have developed due to years of abuse. Plus, you will feel amazing when your gut is in tip-top shape. What are your experiences with antibiotics, allergies, and digestive health? I’d love to hear your story.